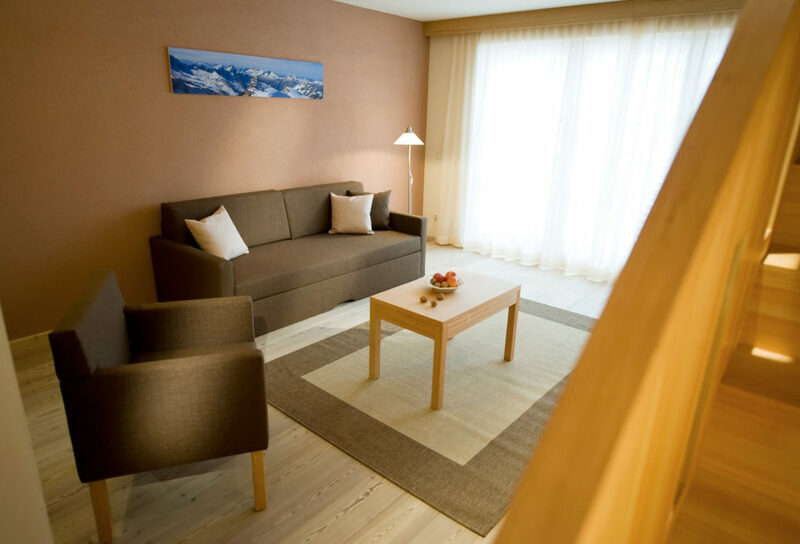 The Standard rooms (20-24 sqm) are located in the main building and are furnished with local spruce furniture. 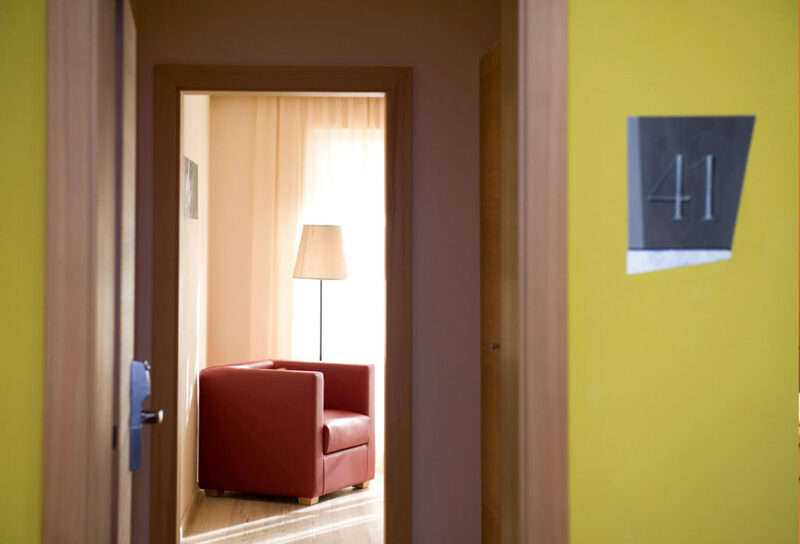 These units are equipped with bathroom with shower/WC, bidet and hair dryer, satellite TV, Wifi-internet, telephone and safe. 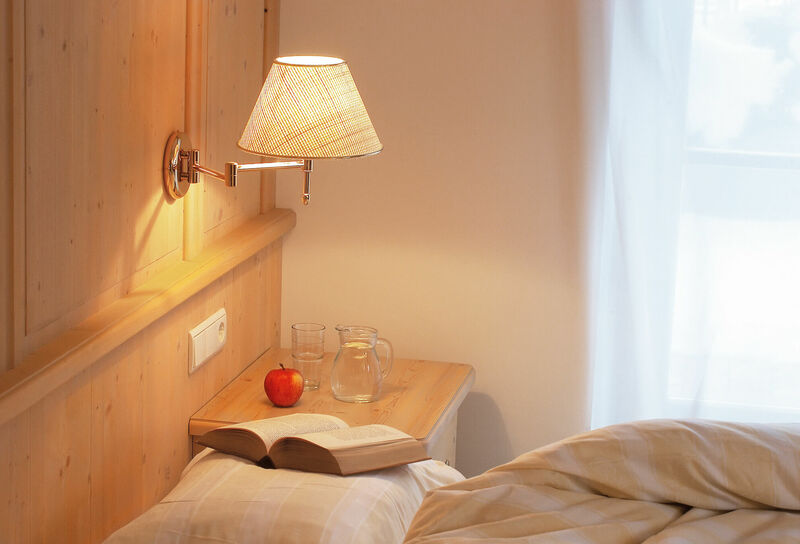 In some rooms a third bed (cot) can be added. 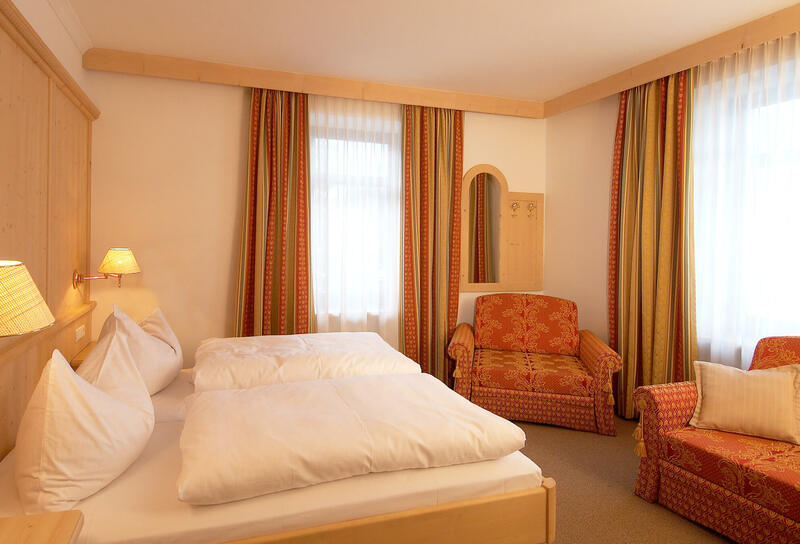 The double bed can be separated in most of the Standard rooms in order to create a twin room. 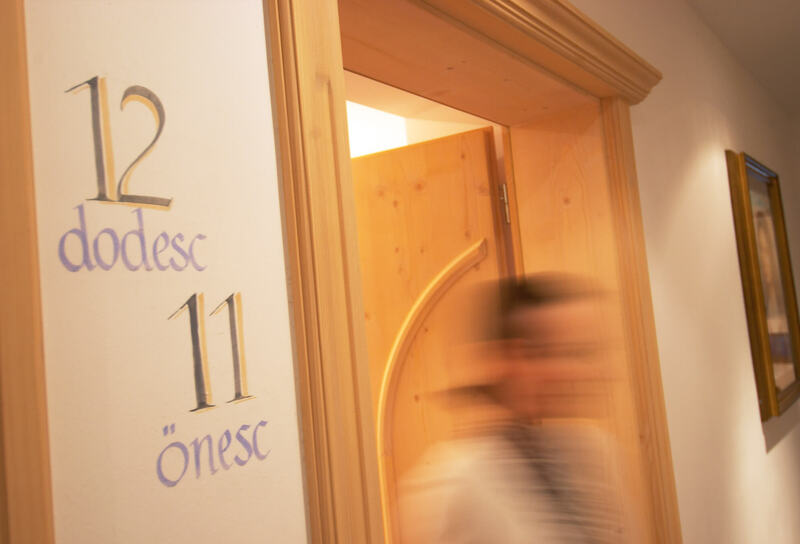 The Superior rooms (25-28 sqm) are located in the main building and are furnished with local spruce furniture. 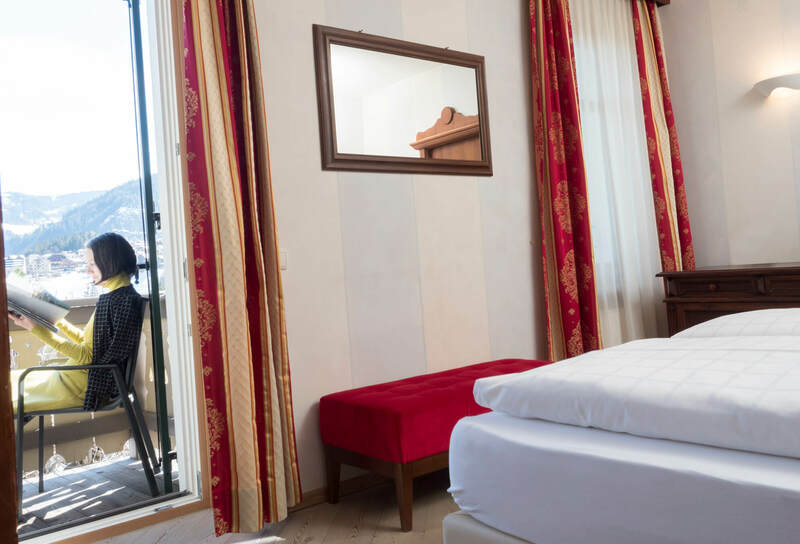 They are slightly larger compared to the Standard rooms and have a balcony. 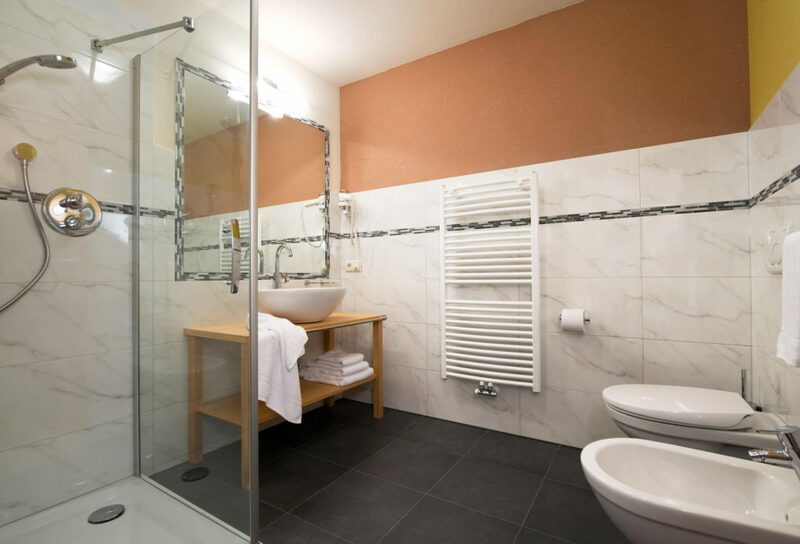 These units are equipped with a spacious bathroom with shower/WC, bidet and hair dryer, TV, telephone and safe. They can be converted into a twin bed room and accommodate up to three persons. 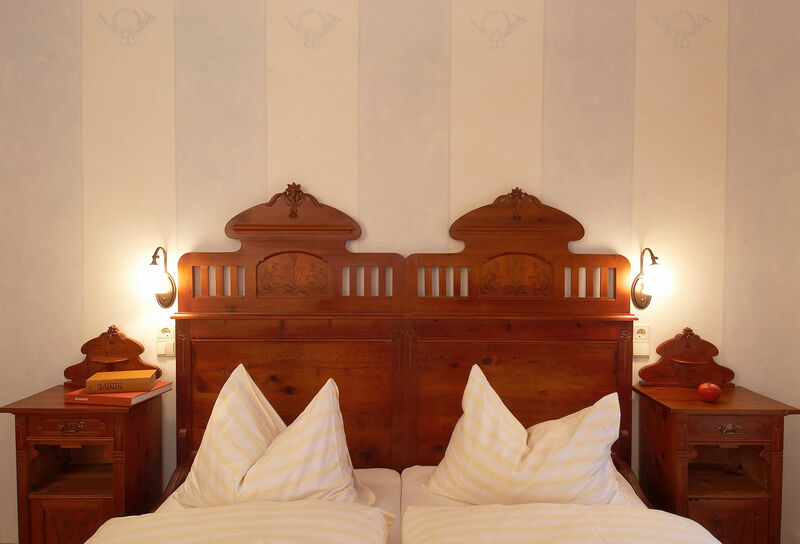 The Romantic rooms situated in the main building are partly furnished with antique, lovingly restored furniture. 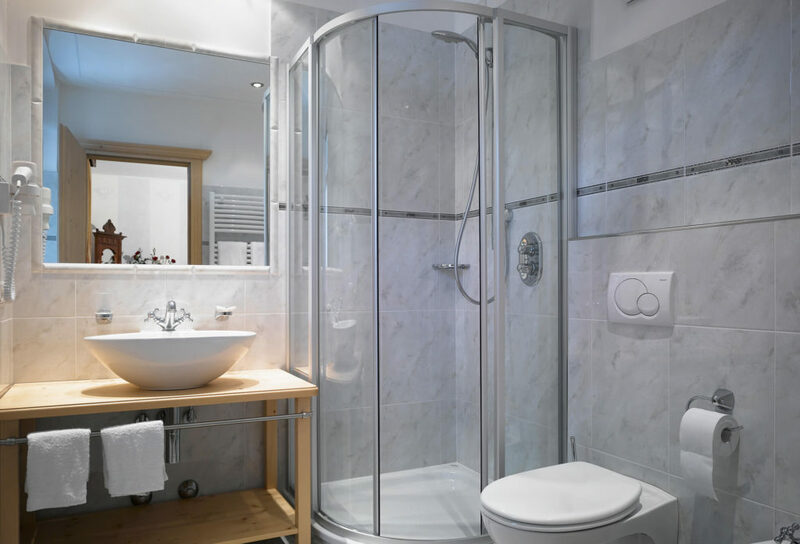 These units are provided with a balcony, a nice bathroom (those with the canopy bed have a bath tub), a large flat satellite TV, a telephone and a safe. 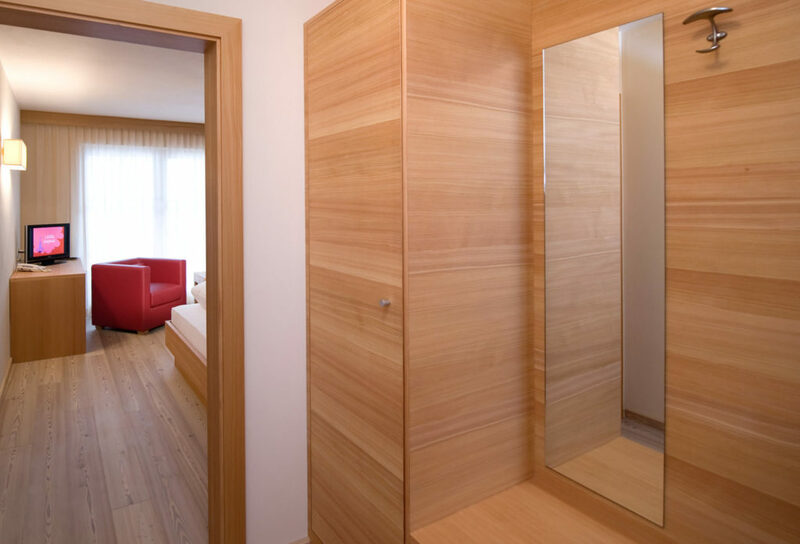 The Deluxe rooms (27-30 sqm) are located in the connected new building “Ara Nöia” and are equipped with contemporary furniture made of natural larch wood. 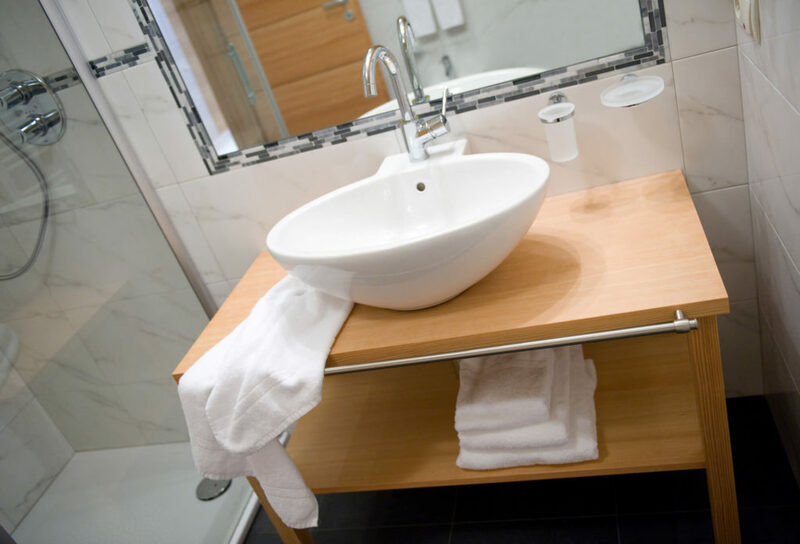 They are provided with a very nice bathroom with shower/WC, bidet, hair dryer, as well as SAT-TV, telephone and safe. 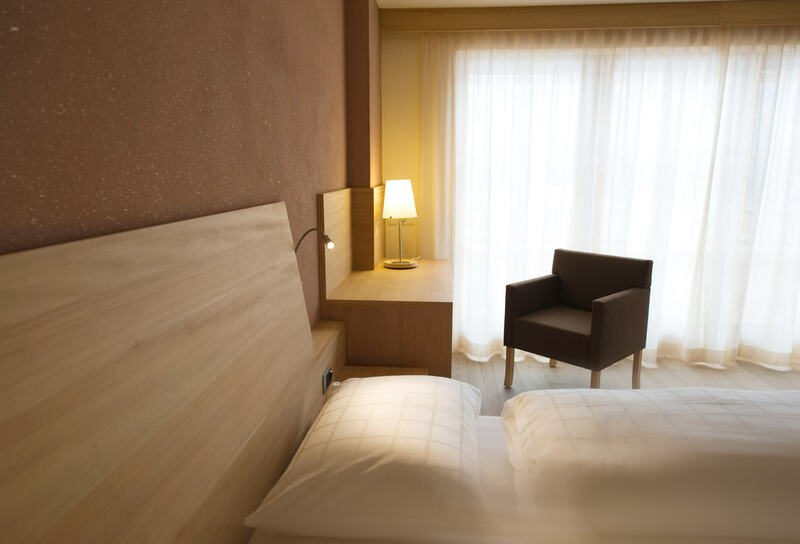 The double bed can be separated in order to create a twin room. 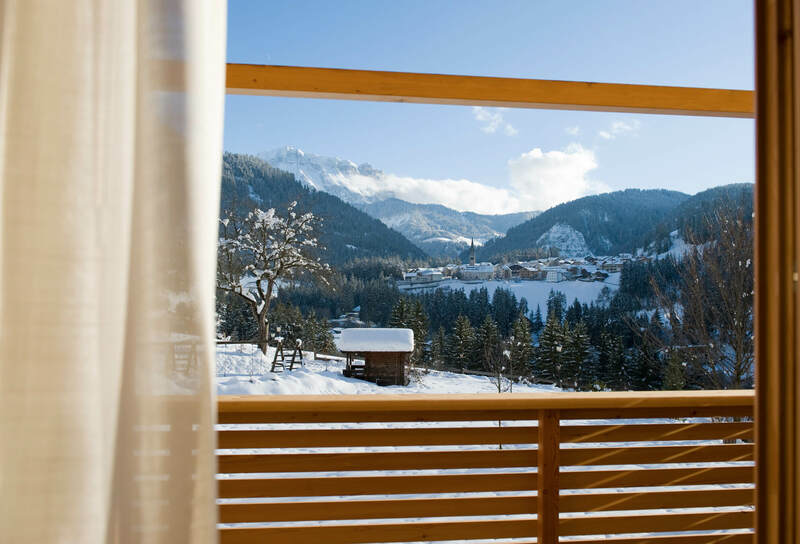 These rooms are all facing south and feature a balcony with a fantastic view on the Dolomites. 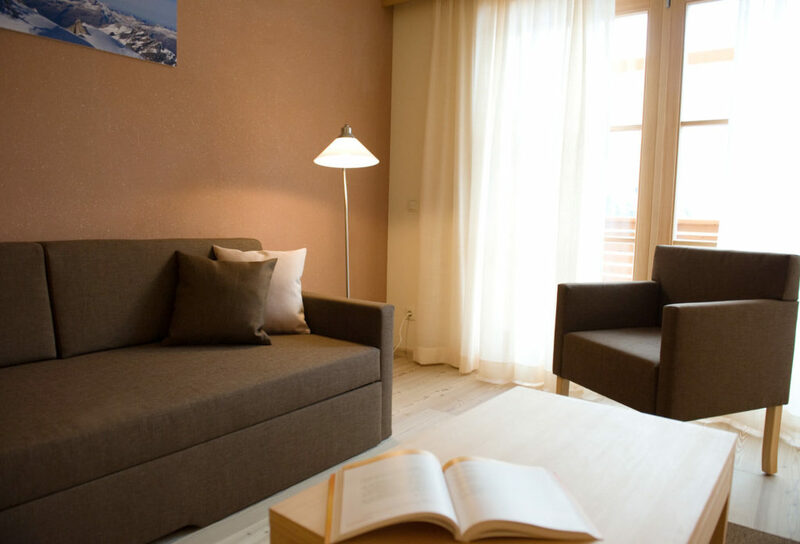 The Suites (40-48 sqm) are located in the connected new building “Ara Nöia”, are equipped like the Deluxe rooms, but are larger and feature two floors, with a separate living area. 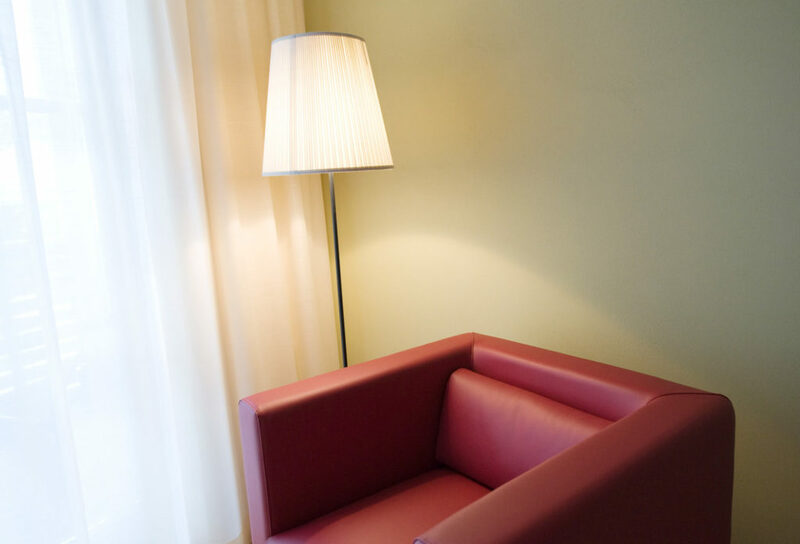 They are the ideal solution for families with up to 3 children.